International literacy assessments have provided ample data for ranking nations, charting growth, and casting blame. Summarizing the findings of these assessments, which afford a useful vantage from which to view world literacy as it evolves, this book examines literate behavior worldwide, in terms of both the ability of populations from a wide variety of nations to read and the practice of literate behavior in those nations. 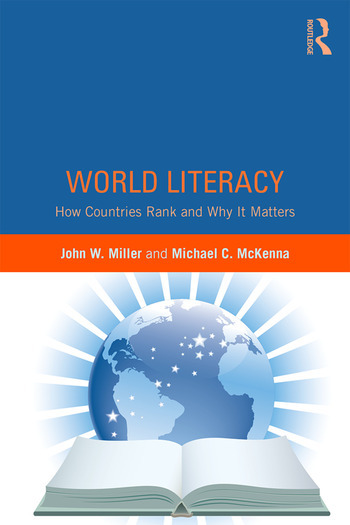 Drawing on The World’s Most Literate Nations, author Jack Miller’s internationally released study, emerging trends in world literacy and their relationships to political, economic, and social factors are explored. Literacy, and in particular the practice of literate behaviors, is used as a lens through which to view countries’ economic development, gender equality, resource utilization, and ethnic discrimination. Above all, this book is about trajectories. It begins with historical contexts, described in terms of support for literate cultures. Based on a variety of data sources, these trends are traced to the present and then projected ahead. The literate futures of nations are discussed and how these relate to their economic and sociocultural development. This book is unique in providing a broader perspective on an intractable problem, a vantage point that offers useful insights to inform policy, and in bringing together an array of relevant data sources not typically associated with literacy status. John W. (Jack) Miller is President of Central Connecticut State University, USA. His work has been funded by state, federal, and private agencies, including the Department of Defense, the Department of Education, Bell South Foundation, and the Foundation for the Improvement of Postsecondary Education. He conducts a widely disseminated annual study of America’s Most Literate Cities. Michael C. McKenna is Thomas G. Jewell Professor of Reading at the University of Virginia, USA. His research has been sponsored by the National Reading Research Center (NRRC) and the Center for the Improvement of Early Reading Achievement (CIERA). He is the co-winner of the Edward Fry Book Award and the American Library Association’s Award for Outstanding Academic Books.